Showing 25 out of 141. Click here for the full list. Fun, well-designed, attractive zone. I skipped this zone back when Serpent's Spine was the current xpac because I tend to dislike zones where you have to perform quests just to move thru the zone. Probably because I'm always goal-driven and wanted to level up as fast as possible. But I just went back to it in anticipation of helping a friend who's new to the game level and did the quests needed. Obviously they're trivial at 110 but they would take some effort at 50-75, especially the final steps which would require a competent group of 6. Challenging and fun. Zone has the general feel of a dungeon (I say that in a complimentary fashion, I love dungeons) but it's much "bigger", with wide open areas which would serve kiters and quadders well. Something for everyone. 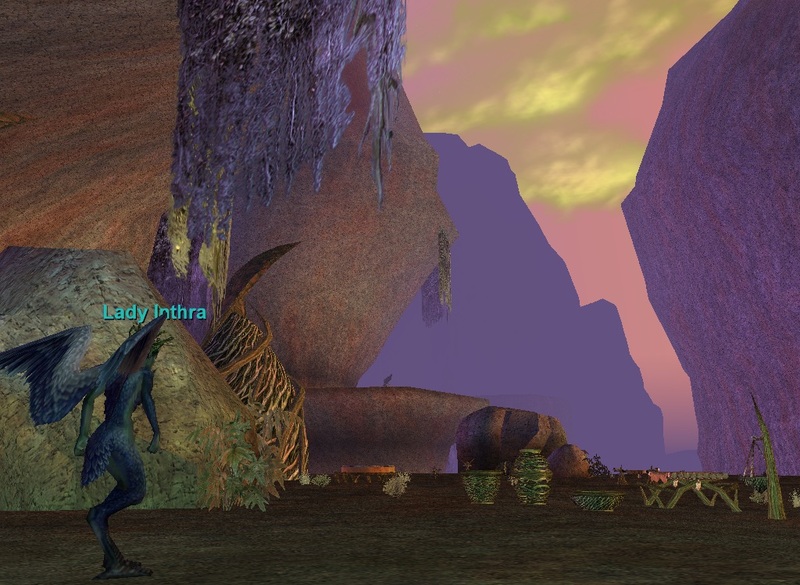 Serpent's Spine was a brilliant expansion, probably the best since Kunark since it's the last xpac to have content for everyone, a very good new starting zone, etc. 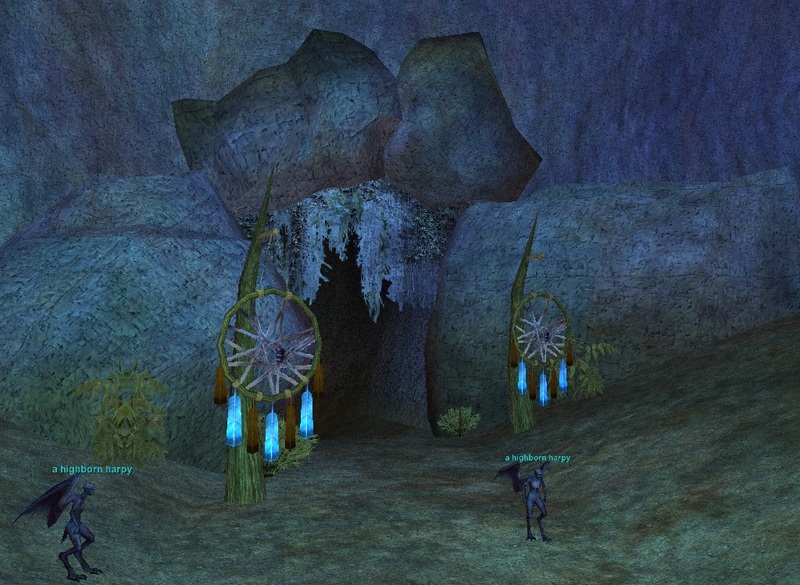 Beautiful zones as well. I can just wander these zones marvelling at the expanse of wilderness. can you still do this quest if you have gone to ftp? Yes, you can do all the quests here. How come the most common type of harpy is not even listed? 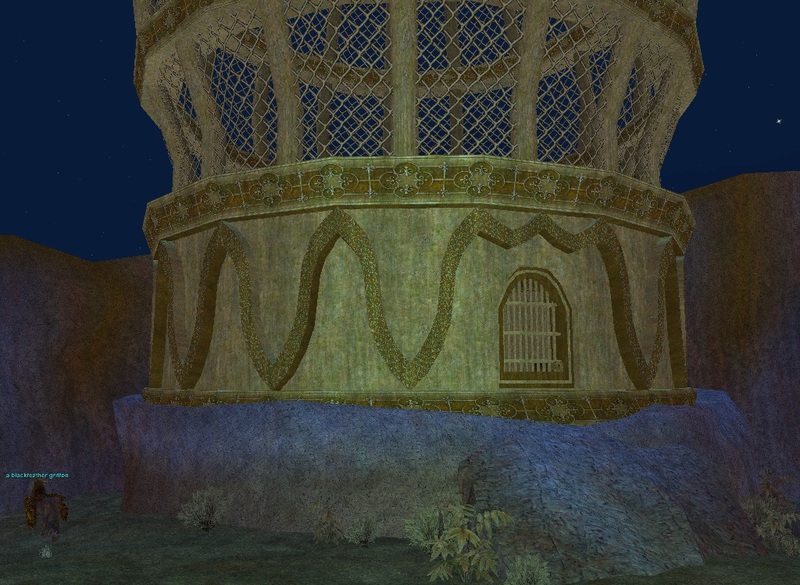 See http://everquest.allakhazam.com/db/npclist.html?zone=436 which lists a restless harpy. 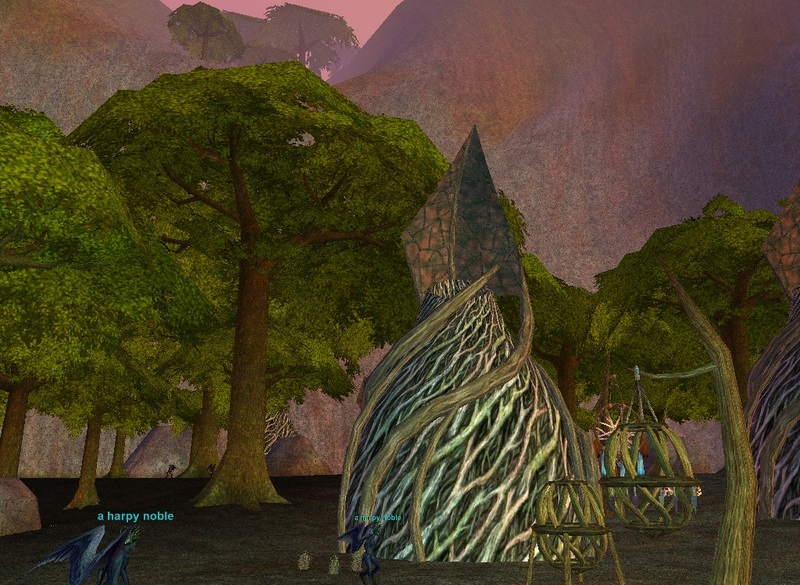 The http://everquest.allakhazam.com/db/zones.html?zstrat=436#NPC tab only shows the first 25. Since you said the most common, I doubted you meant one without the a at the start of the name. The insta traps are caused when you fall off the edge of one of the islands. You fall to your death with no chance to survive. Watch where you run. This zone has great farming quality 6-11 plat of feathers and nameds drop 300-700 pp drops and good AAs for my 64 ranger. Mobs hit rather hard though. This zone is great to level in since not many players come here and you can hop from one ledge to another after doing the quests to feed the Tame Griffons. I had my Ranger @53 and now 59 and my Druid @50 to 54 in 2 days (not 48 hrs but a few). The mobs where you zone in are like a feast. Anywhere from Red to Dk blues and a wide open area to hunt. In the Bear cave you can pull a mob without be trained except for the Hungry Bear and the Spiders but it's pretty safe to say you can stay away from them. The loots are okay with occasional drops of Griffin armor but mostly hides and vendor fodder. On the 2nd ledge be carefull to remember that after killing 4 Harpies the fifth calls for help from a Griffon and you get both halfway into battle. If you stay close to the nests or zone in your okay to pull the yellows and remember if you zone out to put your merc on passive or they will stay and die. This zone is a nice place to level from about lvl 50 or so and is still good into the mid 60's. After that the aa's aren't too bad and the loot from the harpies is decent. The ones on the second and third floor (entry floor is 0) they'll drop a crushed diamond dust once in a while. The adds can be bad if you pull recklessly. If you fall off of the cliffs, the best way to save yourself is find some place directly under the cliff, and try to get a druid/wizard to come and port you out. Or a mage, yaknow, that works, too. Quote : "IF you fall off the cliffs"
a gust of wind had slammed me against the rocks (20,000 damage). I tried this out several times in different spots. with Aura on, which puts you in the graveyard, but alive. rogue with maxed safefall ftw. If you fall off certain cliffs, you can land on a ledge below but can not climb back up. But you can, if you have levi, wander back to the lowest ledge and be safe. Or use origin. Or a gate potion. Or log out and go back to town. Or many other things. when i killed an ornate egg, it spawned 5 "a highland harpy", lightblue to level 75. This seems to be broken as one of the islands will not update when you knock down the nests. Have knocked everyone of them down and not one of the six folks in the group got an update. Have tried to start over and still no update. I've been trying to destroy nests in the grove, but have not gotten a single one to update. I am almost ready to give up on this, but I got myself to the cliffs and I'm trying some nests here currently. I could get 'Cause some mayhem' at level 50 but He said I was too inexperienced for the others. You have been assigned the task: Harrass the Harpies! Watch for traps in this zone. Was killed after levetating over the edge. Walked over to the hillside on the right, next thing I knew was dead. Just had this happen to me. What is the point of arbitrarily killing people as they walk along? It isn't a challenge that can be overcome. It is just arbitrary death. I for one don't need this kind of BS. Invis and walk all the way back to Mestle who will give you the next treat and then walk all the way back to where Inthra was. give treat to griffon and proceed. Speak to Ashrana. She will task you with killing captain Slarus and five guards. 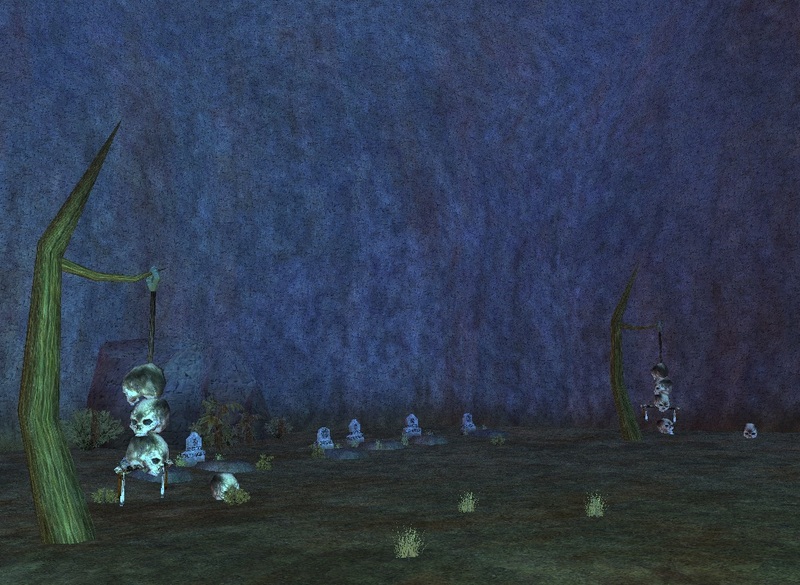 Invis your way to Slarus and his pack of guards - very difficult to separate. Guards cannot be pacified or mezzed. They normally stick closely together, but they all do occasionally wander (inc. Slarus). The guards are easy - hit for about 400 max. Slarus is nastier - hits for up to 1400, can't be rooted or snared. Loot a royal quest from Slarus or a royal guard and hand it in to Ashrana. Get the 'kill the queen' quest. Head onto nest and onto last stage. There's a wanderer and a big cage. In the cage is the queen, and lots of guards (ten, I think). The queen's guards are difficult to separate, and agro as soon as you open the door. Immune to snare, mez. They don't have many HP, but hit hard (about 1300 on cleric). Queen casts AE spell that hits for about 750 (royal rage, resistable), does a fair ammount of damage and has good hp, but should be pretty manageable for a group that's gotten this far. Everbody loot a royal emblem and whatever else she dropped and head back to Ashrana - hand in emblem. how does one get here? go to mapfiend.net then and download the maps but do not be tempted by the download all go to the individual maps themselves. I open the website then go to my computer/c drive/program files/sony/everquest/maps and sort them using details and click on size on the segmented bar just avove the list this will align them either from lowest to highest or tother way around go with lowest up and this will help you determine which maps you need to download. It is over in the West of the zone IIRC, you will fist pass a load of bears and wolves then an area with Giants, then an area with Griffons. 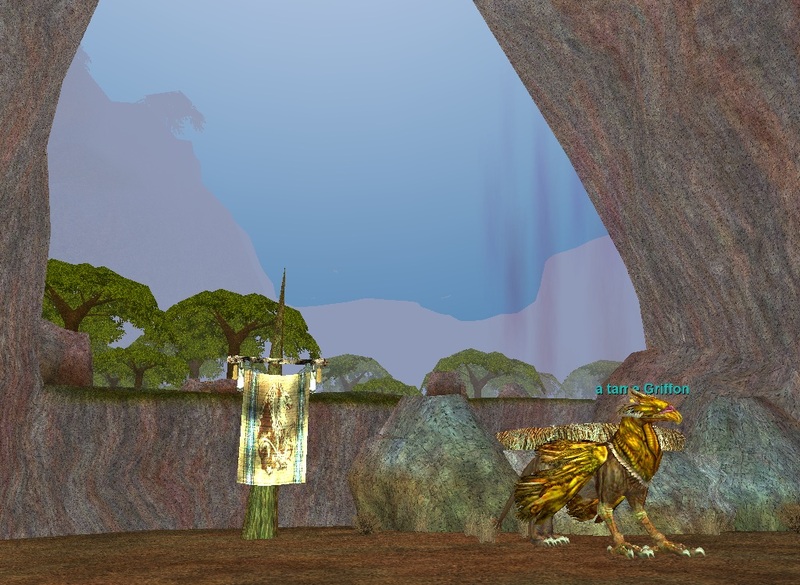 At the back of the zone with Griffons, there is a path that leads to the zone. you gota do the quest, thats given out by the guy who's name starts with a F...freffin or something. he's right next to the griffon and nest. once you collect the four thing and combin them in the bag he gives ya, give the product/treat to the grifon and steem in his nest. i'm sure similar quest for each levl. The one whose Dialogue starts with something about his Nerves, in the zone.